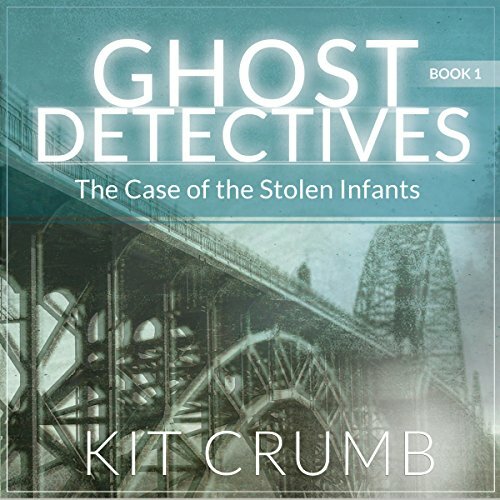 Two detectives are killed in a bust to stop the black market sale of infants. The detectives are dead but are not gone from this mortal coil. Now they must stop the black market sale of babies and find their way among the mortals and perhaps a way home - wherever that is. Too many diverse characters were introduced and not fully developed- but they were begging to be! The Captain, because he could see them, obviously should connect to the reader. Claire (sp?) why doesn’t she like Marion? No explanation why Marion made that coment when she first saw Claire after dying. The psychic aka prostitute from a disgruntled customer was pivotal. When we learn about her background, she was screaming to become a stromg and recurring character. In a tv series, she should definitely get a ‘guest star’ title. The homeless man - omgoddess! Give me a more vivid, and more listen and learn time when he meets Marion and George. He, too, was roped into the case but he continued to be homeless, in a way that his story or substance was overlooked. Another missed opportunity. Marion and George: killing the main characters kicked the action off at the bat. Even in their ghostly forms, they failed to impact the reader to want their justice. I never even felt like they had a ten-year connection from their partnership. The stolen infants ... why isn’t the media or parents screaming for answers or interfering or anything? A very unemotional, unbelievable, and dry story. I have no intention to follow the series. I have downloaded another book/series from this author and I hope I don’t regret that one, too. I had really high hopes because Joe Hempel has been one of my favorite narrators and I hadn’t been disappointed by his choices until now.